Corboy & Demetrio Partner Daniel S. Kirschner was selected to Illinois Super Lawyers for 2019. It’s the eighth consecutive year of his selection. 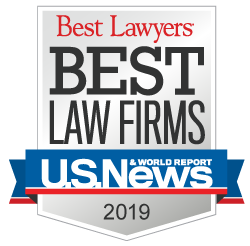 No more than five percent of the 94,000 lawyers in the state are selected by the research team at Super Lawyers to receive this honor each year. As a trial lawyer, Dan represents victims of catastrophic personal injury, wrongful death and medical malpractice. Dan has successfully handled cases against many of the nation’s largest insurance companies and corporations at the pretrial, trial and appellate levels in state and federal court in Illinois and throughout the United States. Recently, he successfully obtained a confidential settlement on behalf of a victim of sexual assault who met her assailant on Match.com after the dating website, which had already been notified of a sexual assault charge against the assailant involving another Match.com customer and failed to remove him from the site. A staunch advocate for children’s safety, Dan has served on the Illinois Carnival Amusement Safety (CAS) Board since 2010 and has represented numerous children and their families for injuries suffered at school, from dangerous products and by negligent transportation and supervision.